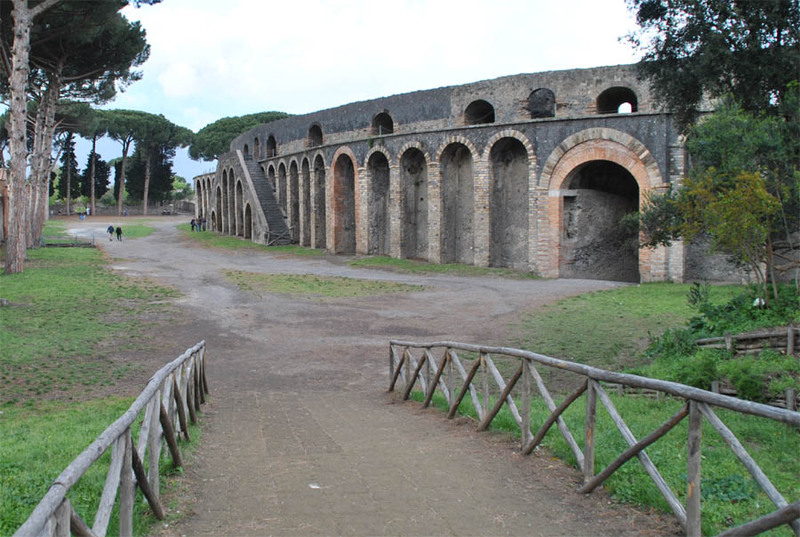 Pompeii was by the 1st century one of a number of towns located around the base of Mount Vesuvius. In the year 79 AC Mount Vesuvius had a very large and powerful eruption, which quickly covered the town of Pompeii and the nearby area with a thick layer of aches and rocks - buried many of the people in Pompeii alive. In 1748 Pompeii was rediscovered and a lot of the town has since been excavated. 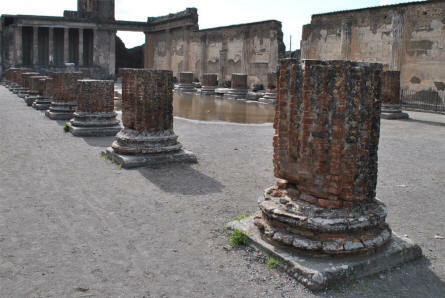 Some of the many pillars - or remains of pillars - that dominate many of the buildings in Pompeii. 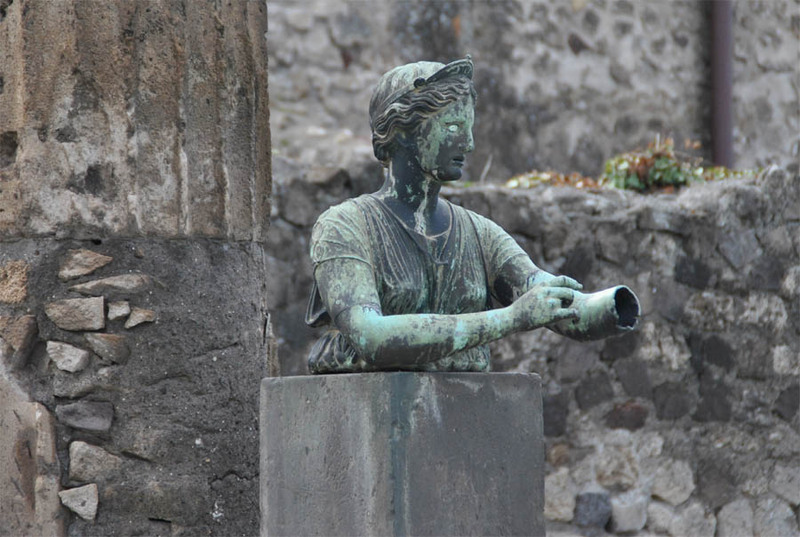 A 2,000 year old statue still standing in Pompeii. 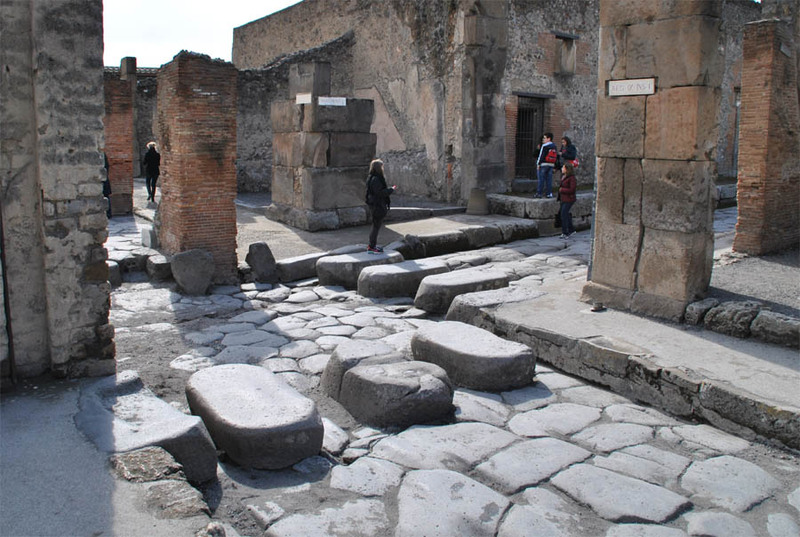 A typical street in Pompeii - with very large stones for the road surface and pedestrian crossings. The pedestrian crossing were necessary and practical as the streets were also to some extend used as the sewer. 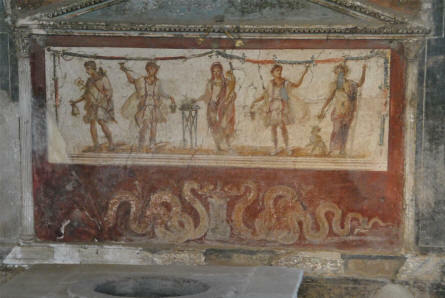 A 2,000 year old wall painting still visible in one of the buildings in Pompeii. 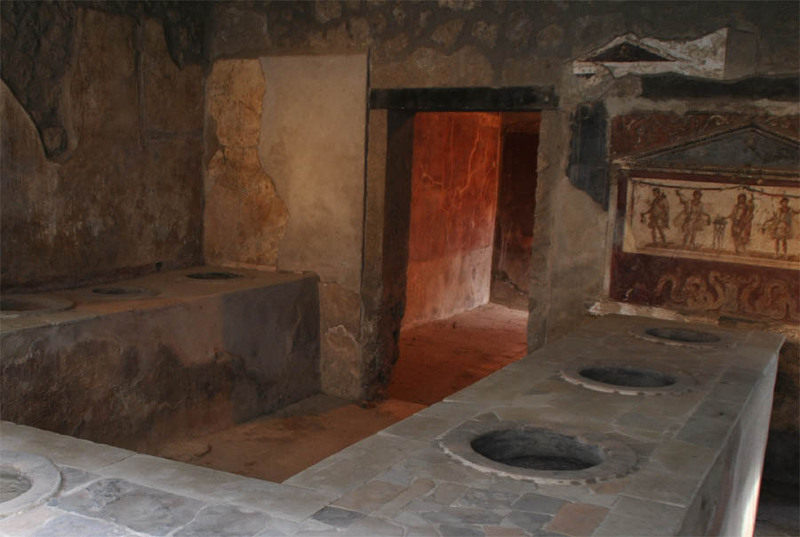 The remains of an old shop in Pompeii.